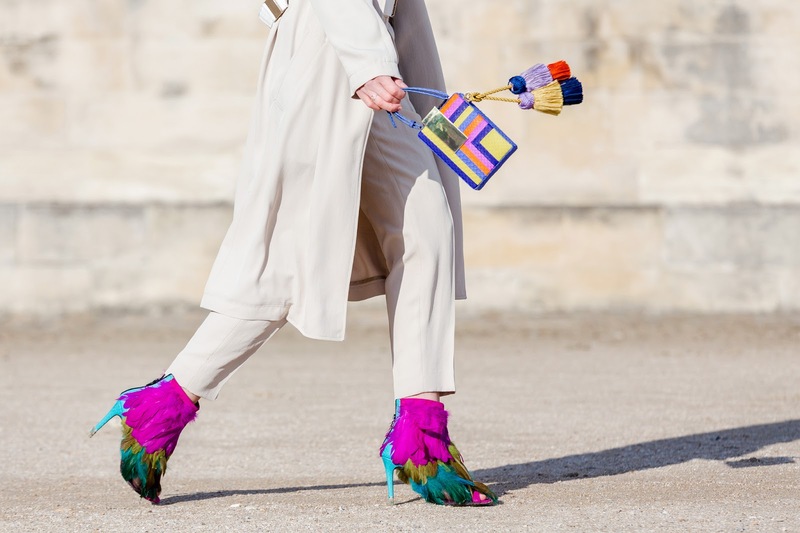 Today I bring you you a new outfit from Paris Fashion Week. I'm very proud of this look and happy to share it with you. I had a great opportunity to wear these beautiful shoes from Maison Ernets's new collection (I really consider them a piece of art) and Tonya Hawks fabulous clutch. I discovered Tonya's work a few months ago and completely fell in love with her designs. I had a big dilemma deciding which clutch to wear for PFW as I loved all of them. If you are looking for a beautiful, original and unique designed clutch for any upcoming event you should definitely check the e-shop (here). I combined my beautiful accessories with a total Tara Jarmon look, as (you probably already noticed) I'm a huge fan of the brand. As my shoes and clutch were very colorful I wore simple line but elegant pieces and it fit perfectly. I've been very lucky as got featured in Vogue Italy with this look and I'm very very happy with the result.